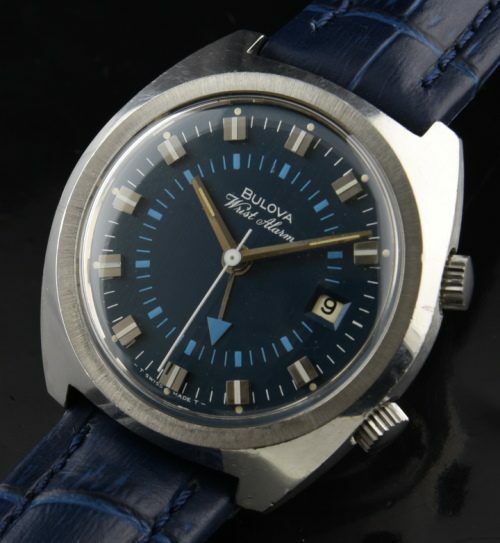 This 1973 Bulova Wrist Alarm dates to 1973 and has a vibrant blue dial in two-colour tones. This is a manual winding mechanical alarm watch which provides a pleasing “buzz” to remind you of your tasks. The 37mm. stainless steel case with screw back displays very fine overall condition (no major dings or scratches). This is a very uncommon and attractive dial!